Our new season is focused on the real-time web. In order to get that to work, we need a library to help manage communication between client and server. We start by discussing the meaning of “real-time” and figuring out our development plan. 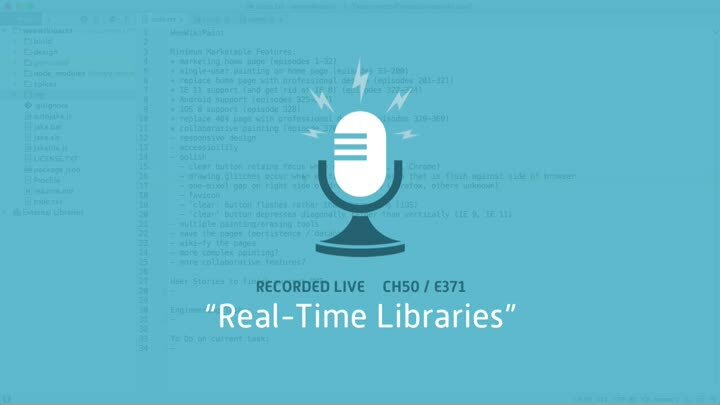 Then we review several libraries for the real-time web and choose one to try out.